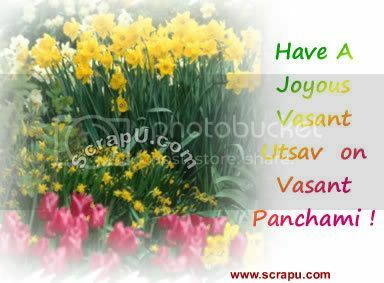 Vasant Panchami heralds the advent of spring. This festival that marks the first day of spring. Vasanta means the spring. The fields are mustard yellow with the ripening of crops. Yellow is of auspicious colour - a colour of sprituality.